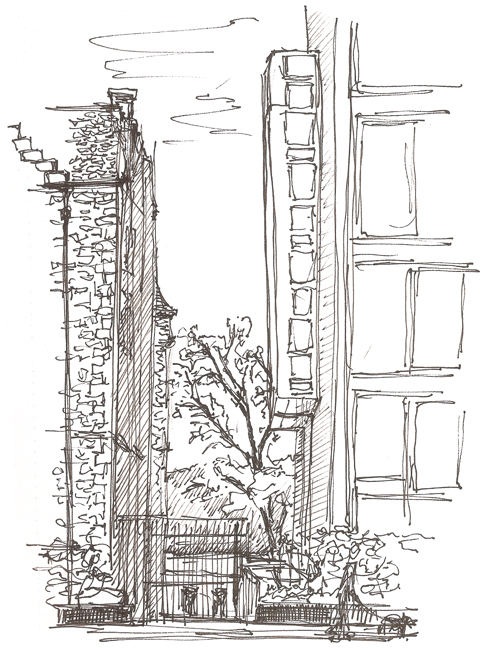 A quick black and white sketch from a favourite area of mine for sketching. Quartermile is the marketing name given to the mixed use redevelopment of the former Royal Infirmary of Edinburgh site, overlooking The Meadows. Now home to many luxury apartments and swanky restaurants the area is a mixture of stunning modern architecture and equally beautiful original Royal Infirmary buildings. This and the park in close proximity makes the area a great place to sketch. In this one I havve caught the old on the left, the new on the right and in between the park and the trees. Carol Robertson liked this on Facebook. Mhari McLeod liked this on Facebook. Lorna Wallace liked this on Facebook. @edinsketcher Fantastic! It’s a fav area of ours too!